Is 3D TV Bad For Your Eyes? Technology, just like clothing, is subject to fashions and trends which change over time. While at one point it will be popular to wear red or to wear flares, later on it will be highly popular to wear blue and to wear leggings and shorts. Likewise with technology things come in and out of fashion, and right now we are living in a time when tablets and 3D are two of the trendiest terms in the industry. It seems these days in particular that everything is 3D, from 3D films at the cinema, to 3D games consoles like the 3DS to even 3D phones. Of course it followed that 3D TVs would soon start to become more normal, and this enables us to truly enjoy a level of immersion that we previously only got from the cinema at home. But is it good for your eyes? Here we will look at the facts. Is TV Bad for Your Eyes? It may surprise you to learn right off the bat that TV isn't really that bad for your eyes normally. The only problem it causes for your eyes in fact is that it causes the muscles in your eye to work harder to adjust to the changes in lighting. This might give you a slight headache, but it won't cause permanent damage and may in fact help to strengthen your eyes. And even this is only a problem if you're in a dark room or if there is glare on the screen. So if 3D is to be bad for your eyes, then it must be MORE damaging somehow than regular TV. The way that 3D works is to show you one image in one eye and one in the other. This then means that you get layers and therefore that you get a sense of depth. This is how our eyes work to achieve 3D in the real world - because they are set slightly apart they get slightly different views of the world thus allowing them to judge depth. Of course when you watch 3D this is a trick and it means that the eyes might struggle to know whether to focus on the images in front of you, or the images they can see. Again this then means that there's a chance you will find yourself straining to adjust your focus, but again this won't cause any permanent damage because you were meant to use those muscles this way anyway. There is however one slight potential risk of 3D TV which is for developing eyes which are still adjusting and getting used to the world around them. In such young children (below the age of four) there is a worry that 3D screens could lead to uneven muscle development. However what is important to note here is that this is only a theory and that there is actually no evidence for this being the case. While you might not want to show any children under four your 3D TV for long stints then, you can nevertheless use it yourself without concern. Hi, I am Brian and I am a tech blogger. 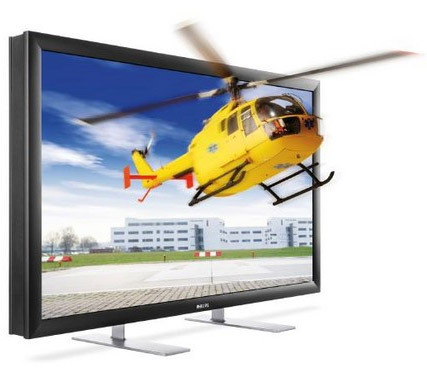 If you are convinced that you should buy the new 3d tv, visit my site and you can also get a tv on credit. While I don't write about TVs very often, I have written a lot of posts on smartphones and computers.